I love beauty DIY’s especially for various requirement we girls have. If we were to buy items off the shelf that frequently, we would go bankrupt in no time! Today’s DIY’s are catered for glowing skin! Like always I do tell you that with DIY skincare you need to e using it quite frequently and constantly to see results! These are all natural so the safe ones to slap on your face too! Mix together about 3 table spoons of yogurt (Greek yogurt is great for its consistency) and honey (1 teaspoon) and apply it all over your face and neck and leave it on for about 15 minutes. Once you rinse it you can see a brighter complexion instantly. Doing this quite frequently will give this effect for long. Mix in a tablespoon on baking soda, half teaspoon of honey and water to a paste and apply all over your face for about 30 seconds and then start to massage it in as though you are cleansing your face. Keep in mind that this is not for those with dry skin or sensitive skin since baking soda is slightly harsh. It removes dead skin cells to reveal the righter fresher skin. Do not keep the baking soda more than 30 seconds trust me it’s not the best longer than that. 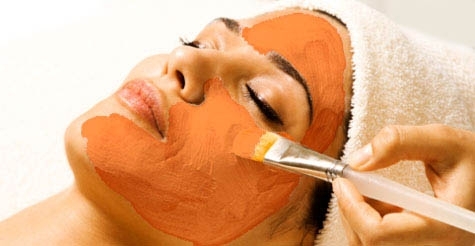 Puree some boiled pumpkin or just use the canned ones and using two teaspoons of it, along with ½ tsp of honey and ½ tsp milk apply it all over you face and leave on for about 20 minutes and wash it off afterwards. nice post...I use curd a lot in my DIY's as well! and honey is a charm!!! i will do honey n yogurt one..
is it okie for dry skin ..
my recent one :MAC Craving !!! Great post,love the useful DIY!